The World Photography Organisation is delighted to announce that the UK and Irish National Awards are now open for entries. A longstanding part of the Sony World Photography Awards, the National Awards provide the unique opportunity for entrants of all levels, from more than 50 countries, to be recognised in an internationally renowned photography competition. UK and Irish photographers who enter any of the Sony World Photography Awards’ ten Open categories will be automatically entered into the National Awards. Judges are looking for single images across categories including Architecture, Travel, Culture and Street Photography (see full list below). The winner of the National Awards will not only receive Sony Imaging kit the image will be promoted globally and shown at the annual Sony World Photography Awards exhibition in London, April 2019. Now in its 12th year, the Sony World Photography Awards celebrate the finest contemporary photography from the past 12 months across all genres of the medium. All entries are free at www.worldphoto.org/swpa. 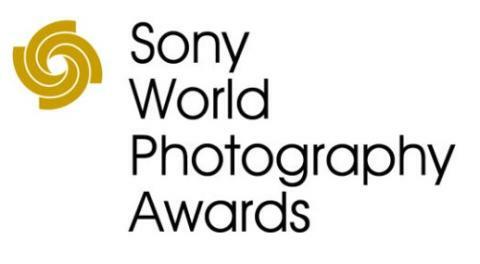 The Awards’ winning and shortlisted photographers can enjoy worldwide recognition and exposure in addition to cash prizes, the latest digital imaging equipment from Sony and inclusion in global exhibitions. Announced today, the Awards is judged by a leading international panel of photography industry experts from across museums, publishing, media and festivals. The Open, Youth and National Awards competition’s Chair is Rebecca McClelland, Photography Director & Head of Art Production for Saatchi Saatchi & Prodigious (UK). The Open and Youth shortlist for the Awards will be announced on February 5, 2019. The Open and National Awards winners will be announced February 26, 2019. The Professional and Student competitions’ shortlist will be announced on April 2, 2019. The Photographer of the Year, Overall Open, Student, Youth and Professional category winners will be announced April 17, 2019. Professional - Judged on a body of work. Open - Judged on a single shot. Youth - For photographers aged 12-19, judged on a single image responding to the brief of “Diversity”. Student - For all photographers studying photography, a body of work responding to one brief on the theme of “Evolution”.Shortlisted photographers then submit a series of images responding to a second brief. National Awards – Celebrating local photographic talent in more than 50 countries, judged upon a single image.